After having previously reviewed the original Apex gaming keyboard, I was very much intrigued to see how the new RGB mechanical keyboard, that utilises SteelSeries’ very own QS1 switch would compare and furthermore stack up against other mechanical keyboards out there on the market, namely those using Cherry MX switches. I would like to thank SteelSeries for yet again sending me the keyboard for review. The Apex M800 can be found for around £140 on AmazonUK and around $190 on AmazonUSA. I should note the version I got sent has the UK Layout keyboard. 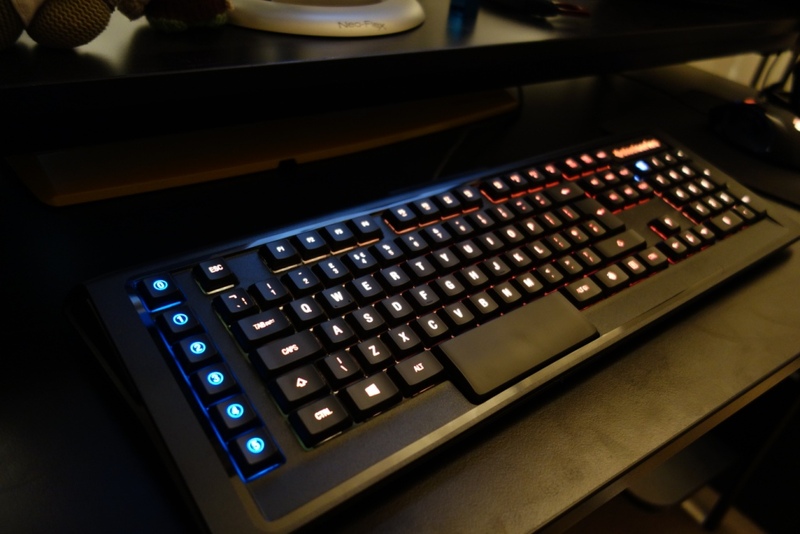 This entry was posted in Technology & Gadgets and tagged Apex, Apex M800, clever, cs, csgo, design, Game, gamer, gamesense, Gaming, Gaming Keyboard, Keyboard, Keyboard Review, M800, Mechanical, Mechanical Gaming Keyboard, Review, RGB, SteelSeries, SteelSeries Apex M800, SteelSeries M800 on September 19, 2015 by TotallydubbedHD.